Berlin, March 10, IRNA — The chief executive officer of Messe Frankfurt– the world’s largest trade fair organizer — said Iran could become an important future market for the global exhibition industry. eventually develop into one of the important future markets. ˈOnce all sanctions are dropped, Iran could become one of the great future markets,ˈ he added. Messe Frankfurt has organized 114 exhibitions worldwide last year, attracting 78,500 exhibitors and 3.6 million visitors. Its turnover reached 543 million euros in 2013, of which one-third was derived abroad. 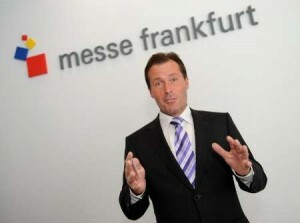 Messe Frankfurt hosts also the Frankfurt Book Fair as well as the automobile exhibition.